Every month we gather all the AfriCamps moments shared with us via email or social media for our Snap, Share & Win Competition. And every month you stand a chance to WIN a free night’s stay! With great locations to choose from like AfriCamps Klein Karoo, AfriCamps at Kam’Bati, AfriCamps at Stanford Hills, AfriCamps at Ingwe, AfriCamps at Mackers, AfriCamps at Pat Busch, AfriCamps at Oakhurst and AfriCamps at Doolhof, each location provides ample space for you to pick a beautiful backdrop and have fun snapping away your moments. And with so many destinations, you’ll definitely want to keep exploring! We are always curious about how our guests experience their stay at AfriCamps and in the last few years we have received dozens of pictures from our guests at different camps. Next time you stay at any of our camps, remember to take some shots and share it with us! We select our 10 favourite pics and post them on Facebook. From there it’s up to you to get the most likes on your pic. The photo that generated the most likes WINS. You don’t have to be a professional photographer! 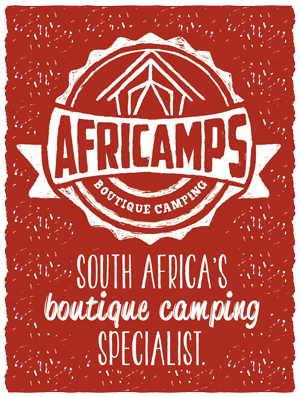 Option 1: Take some photos of you and your family / friends enjoying your stay at AfriCamps. Option 2: Make a video about your stay. OR email your photo’s to marketing@africamps.com. Tell us something about your stay. We choose our favourite photos and then give the public the chance to vote on Facebook, making the process as fair as possible. You can share our post with your friends to increase your chances. Our top 10 is announced in the first working week of every month. Finalists are contacted via Facebook or e-mail. If you entered via Instagram, and we can not find you on Facebook, we will send you an Instagram message. Once we announce a winner, we will contact the winner with a unique voucher code. This code is entered in the ‘notes’ section when making a booking. Please select the ‘EFT’ method of payment and we will send you an invoice if an invoice applies. Normal terms and conditions apply as per regular bookings and have to be accepted during the booking process. Still not sure? Check some examples below!